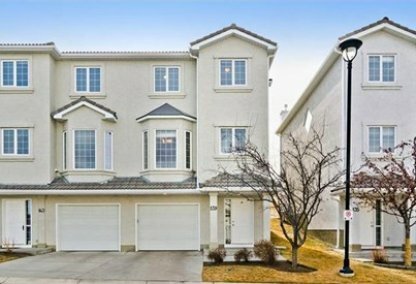 See today's Hamptons homes for sale in Calgary! Spectacular rolling hills and a high elevation make the Hamptons a popular upscale community in NW Calgary. 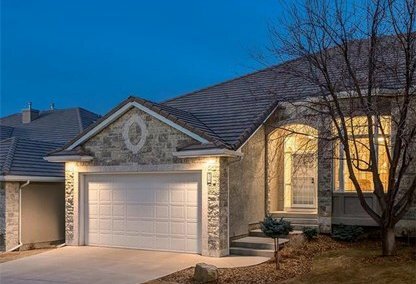 To learn more about Hamptons real estate for sale or to schedule a guided home or condo tour, connect with your Hamptons Calgary real estate team today. Hamptons housing market statistics: As of April 24, 2019 there are currently 31 properties for sale in Hamptons listed as active, with an average asking price of $786,790. The highest-priced property is $2,380,000; the lowest priced property can be purchased for $359,900. Hamptons neighbourhood listings have an average price of $344 per square foot, based on listings with 3.9 bedrooms, 3.7 baths, and 2,294 square feet of living space. Want to purchase a home in Hamptons? Call your Hamptons real estate team, Justin Havre at RE/MAX First - 403.217.0003. Your neighbourhood Hamptons real estate agents and agents are here to help with the Hamptons housing market near Calgary. NW Calgary's Hamptons community is located just north of Edgemont real estate. Its southern section was annexed in 1976 while its northern section was not annexed until 1989. The Hamptons Community Association is also the Homeowner's Association, collecting fees for the exquisite landscaping as well as maintaining the luxurious community amenities. The Hamptons neighbourhood has a wealth of amenities including an Olympic-size hockey rink with heated sheltered bleachers, along with a kiddie rink, tennis courts, sports fields, bike paths, and a developmental playground. Home owners also enjoy plenty of fine dining in the community. These exclusive offerings are part of what makes the Hamptons a step above many other communities. The golf course on the Country Club of the Hamptons property is so exceptional that many popular pros, including Annika Sorenstam, Arnold Palmer, and Vijay Singh have played there. Neighbourhood shopping centres include the Hamptons Co-op Shopping Centre and Country Hill Village Shopping Centre. Hamptons School, located within the neighbourhood, includes grades K-4 and is only one among many public and private schools located nearby. Elementary options also include Captain John Palliser, Tom Baines School, and St. Dominic's. St. Jean Brebeuf serves grades 7-9, St. Francis serves grades 10-12, and the local public high school is Sir Winston Churchill High School. Thinking of buying or selling a home in Hamptons? Let our local real estate agents help guide you through the purchase of your next property, or to professionally negotiate the sale of your current home. As local Hamptons real estate agents, we're experts on the market dynamics unique to the Hamptons real estate. We'll get to work today! Contact Justin Havre at RE/MAX First - 403.217.0003 to learn more about buyer or seller representation. Planning to sell your Hamptons home? Check out our home evaluation tool, where you can instantly view Calgary Homes Values online!